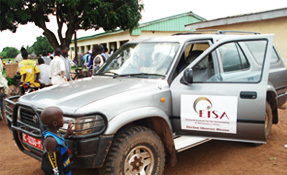 The EISA Office in Mozambique was opened in August 2004, and has operated uninterrupted for 12 years now, making it the longest-running EISA country office. For the first 5 years, the EISA Mozambique Office focused its activities on the electoral process, supporting electoral reforms and citizen observation. In 2009, the area of political party strengthening was added to the portfolio of activities. undertaken the first-ever baseline study on women in positions of leadership in Mozambique, in 2012. Currently the EISA Mozambique Office is set to begin the implementation of a 3-year programme aimed at strengthening political party capacity to participate in governance and in the upcoming electoral cycle, supporting current electoral reform efforts and strengthening election management capacity, and further developing the quality of election observation in Mozambique.